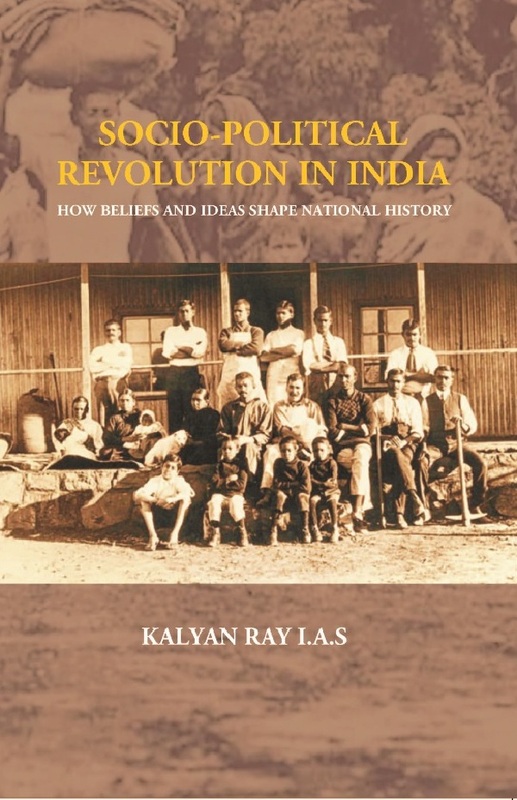 Book deals with contradictions in the Indian social system and how these have been gradually reduced through a liberal scientific education system. This created a pan-Indian outlook and helped in the emergence of the Indian nation. Concept of Nation State emerged only in the late nineteenth century in Europe. Book discusses how a belief system has governed the people for ages. A large section of Indian population was self administered through a belief in destiny. Subjected to foreign invasion for centuries, Indian society retreated to the self governing caste system to ensure its continuity. Various phases of the freedom struggle have been discussed. Major achievement was to keep the country united against fissiparous forces by providing an All-India platform. Constitutional method of struggle started from 1885, had a major role in achieving a united India and building up the infrastructure of a modern state. Non–violent movement of Mahatma Gandhi was a continuation of this method. Kalyan Ray is an Economist by training. He joined the Indian Administrative Service in 1965 and worked for thirty-six years. During all these years, he kept his academic interest active and got published number of articles and books. After retirement from service, he is fully engaged in academic work. He is an original thinker and writer and has authored number of books and articles. His writings go beyond the conventional thinking pattern and provides a new look at the socio-economic problems. His book 'A Search For Demand – The Missing Link In Economic Development' (1984), dealt with the importance of market forces in economic development. Failure to understand the working of this led to economic stagnation and a parallel black economy. In the book 'Globalisation or Colonisation' (2004), he pointed out the danger of sudden integration of Indian economy, which was in a developing stage with developed economies. This has led to jobless growth. and Plato’s Idea of Philosopher King • Caste System Created a Fractured Society. • English Education Transforms Bengal • Education Creates a New Class • Misconstrued Opposition to English Education. • Role of English Liberal Education in Freedom Movement. • Partition of Bengal Presidency, 1905 • Non-cooperation Leads to Complete Breakdown of Administration and Distress for the People • Service Class (Hindus) vis-a-vis Landed Class (Muslims) • Communal Face of Peasant Movement in Bengal – Prelude to Partition. State System • Laissez-faire Governance During Rule By the Muslim Kings. An Old Indian Concept • Support of Khilafat Movement by Congress Party • Gandhi’s Statesmanship for a United India. Duplicity • Lack of Local Leadership • Towards a United India • Cult of Politica Violence • Road to Partition of Bengal • Communal Divide • Communism vis-àvis Nationalism.